Increased competition in the Architecture and Engineering (A&E) industry is driving down fees and making it feel like a buyer’s market. This is putting a squeeze on A&E firm profits, and forcing many firms to re-evaluate their strategy including how they go to market, what services they offer and how they can run more efficiently. I am seeing an evident trend for firms to look at their business management practices, and how they can increase project profit margins, with a strong emphasis on project management success. The old ways of doing business are being challenged, and along with it, the long established practices stemming from the firm’s entrenched culture. So what does it mean to build a profitable culture? I have developed the following definition which can require a radical shift in thinking and behavior, and could be a game changer for those organizations willing to take a critical look at all of the long-held beliefs and practices that work against the firm maximizing its profitability. This is a big difference from the way that most employees think these days. The average technical staff has little training in business concepts and my research shows the majority of employees do not even make the connection between their timesheet and their paycheck. Transforming this cultural paradigm requires intentional effort to change both your employees’ mindset and behaviors. The first step to implementing transformational change is getting the consensus, commitment and support of your firm’s leaders. Sometimes this can actually be one of the most difficult things to do. I have found that money talks – figure out how much more profit your firm could be generating and develop a strategy to increase profits. Sometimes all the leaders need is a clear understanding if the amount of money at stake in order to increase their commitment to change. Without a clear idea of desired outcomes and goals, it will be difficult to get your team inspired and determine if you are making progress. Achieving small victories is often very satisfying and motivating, and making clear, steady progress can be easier to accomplish than big time-consuming initiatives. A small increase of 1% to 3% in a few key metrics can mean a big increase to the bottom line. I recommend you look at some of your key metrics, such as your win rate, utilization and project profit margins, and calculate a small increase in each one as a starting point to determine how much money is at stake. Understanding where your firm is now is a critical step towards improving. Very often the leadership has some ideas about improvements they would like to make, but it may seem overwhelming without a detailed plan. Taking the time to understand the patterns of thinking and behavior of your staff is a great first step towards moving towards a profitable culture. Is it your front end sales processes that are causing issues? Is scope creep causing budget overruns? Is cash flow a big problem? In my book Find the Lost Dollars, I lay out a plan to assess your business in nine areas broken out by people, process and systems. A thorough Business Management Assessment can go a long way towards figuring out where the biggest returns can be gained from the smallest efforts. Once you have assessed your firm’s current culture, calculated the impact of improving financial results, and set some goals, it is time to take action. Implementing change is difficult, and having an intentional path forward can make all the difference as to whether this initiative is a winner or loser. The difference between success and failure is usually embodied in a plan – detailing the steps that need to be taken, responsibility, resources needed (time, money and skills), and how success will be measured. The key is to focus on specific process and behavior changes that need to happen to prevent project budget overruns, scope creep, and the other many causes of gaps in profit margins. Having as many employees involved in the program will provide a higher rate of success – peer pressure and creating new norms is essential to long term culture change. Explaining the benefits and “What’s in it for me? (WIIFM)” is essential to implementing effective change. Most employees will resist change, and very often it is because leadership has failed to address their primary concerns. It is not only critical to explain why changing the culture is important, but the expected value to both the firm and the individuals. Resistance to change is a normal reaction by employees, and preparing for it in advance can go a long way towards getting needed buy-in from your staff. Training on financial management and expected new behaviors is essential to transforming your employees’ everyday activities and habits. We have all heard that what is measured is done, and nothing is truer when trying to make significant changes in your firm’s business management practices. Without constant monitoring and measuring of key performance metrics, your employees are not going to pay attention. It is important to establish a performance management process that is in line with the new cultural expectations. It should include clear rewards, recognition and consequences for performance. This alone could make all the difference in whether your culture becomes more focused on profitability. Your culture took a long time to develop, and while it might be difficult to make radical changes, sometimes small changes can be equally impactful. Gaps in profitability are often small amounts in many small places, and baby steps may be what’s needed to make progress. Look for places that you can recognize quick wins, and be sure to publicly recognize the behavior changes you are asking for. Building your profitable culture will take time and effort, but can be one of the most rewarding and financially impactful initiatives you can pursue. Invest in Yourself. Invest in your Firm. AEC Business Solutions offers innovative solutions that will help you to transform your organization, and hold your staff accountable to goals and actions, giving you a measurable return on investment. 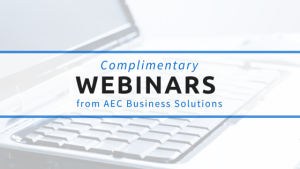 In addition to our FREE educational webinars we offer business management assessments and online training for project managers and business leaders. 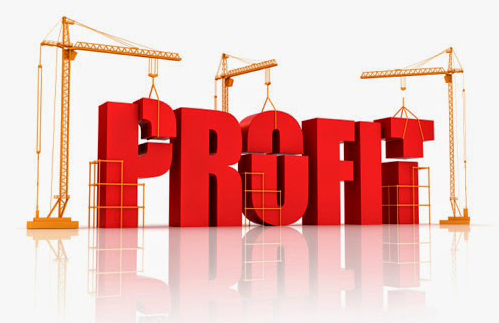 Set up a free consultation to understand where you are leaking profits and what needs to be done to increase project profitability. Enter your name and email to subscribe to our blog...it's free!